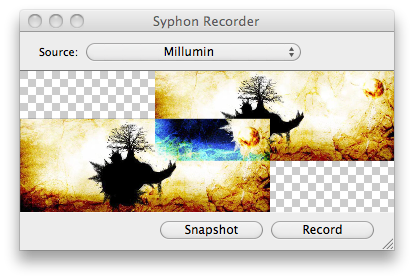 Download Syphon Recorder and launch it. The source is empty in Syphon Recorder. 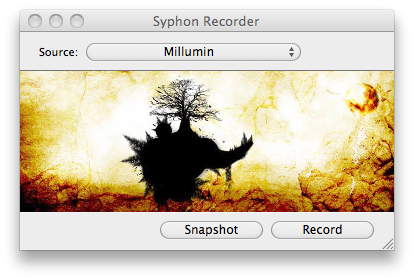 So activate "Syphon out" from the menubar of Millumin. You can now record Millumin's output. 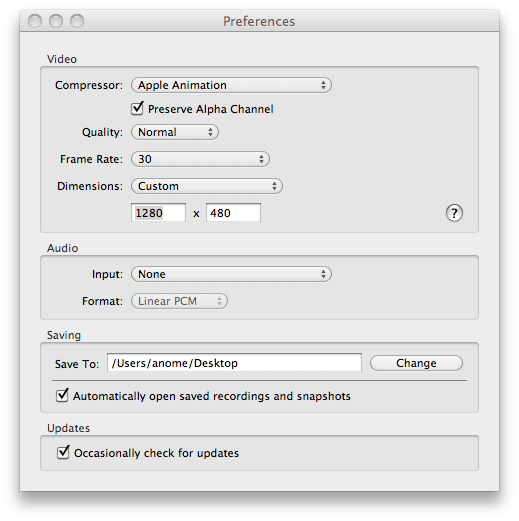 When you stop recording, it opens the MOV file just created. and record movies with transparency.